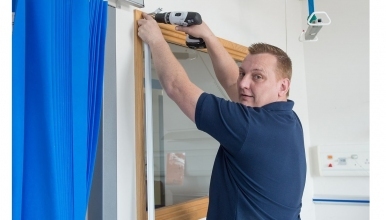 The Shrewsbury and Telford Hospital NHS Trust are seeking a Mechanical Fitter/Plumber/Maintenance Engineer to join our busy Estates Department to perform multi-skilled tasks which can be complex and/or non-routine. This exciting opportunity involves working on hot & cold water systems, heating systems, control of water hygiene & fault finding on a wide range of engineering plant and equipment (low pressure hot water systems, steam raising plant and associated equipment responding to Wards and Departmental needs during the day. The successful candidate will be required to join the On-call Rota after sufficient training and must be able to respond to emergency calls within 45 minutes of leaving home and arriving at the base hospital. The Shrewsbury and Telford Hospital NHS Trust can offer you great career prospects and a fantastic lifestyle. Situated in one of the most attractive parts of the country with dramatic countryside and bustling towns we have state of the art facilities, supportive friendly teams and excellent professional NHS job development opportunities. The Trust has a vision for the future that puts the patient at the heart of everything we do and is guided by the principles and values about which we care deeply. You will be qualified and have a recognised and registered apprenticeship with City & Guilds or equivalent. Working a 37.5 hr week based at The Royal Shrewsbury; you may however be required to work at The Princess Royal Hospital Telford.